IN LESS than a decade, mobile money has proven an effective means of increasing financial access in frontier markets. In the process, it has brought significant economic benefits to the countries that have fostered its development. There are now 265 implementations of mobile money in operation across 89 countries. As a result, 299 million people have used mobile money in these markets. Across these countries there are now 2.3 million retailers providing mobile money services – a bigger footprint than traditional finance and remittance service providers in those markets. In countries where mobile money has been highly successful, such as Kenya, Bangladesh and Pakistan, customers now have the ability to send and receive payments, store money safely, and pay bills. Before the advent of mobile money, many of these transactions would have taken hours to complete. Lives have been changed through better access to finance, something traditional bricks and mortar banks have struggled to deliver. The remarkable aspect of this phenomenal growth, however, is that it has been achieved almost exclusively through feature phones and analogue channels such as SMS and USSD. Why is this so remarkable? Compared to smartphones, the user experience of feature phones is generally poor, with multiple technology challenges. Many lack the Unicode needed to display local languages correctly and their limited character availability makes it harder for people to easily complete financial transactions. For mobile money providers, their ability to offer complex financial services products is curtailed, particularly when consumers need education on product features before purchase. Smartphone penetration in Myanmar, and the rapid proliferation of data usage, dramatically alters this equation by removing the limitations implicit in widespread feature phone use. Based on current estimates, between 70 and 80 percent of mobile devices in Myanmar are smartphones, and of these the majority are accessing data regularly. No other frontier market has experienced growth of this kind. Coupled with very low banking penetration, it considerably enhances the opportunities for serving the unbanked – estimated at 90 percent of Myanmar’s population. At Wave Money, we are exploring this opportunity in different ways. Given the innate flexibility that smartphones and apps provide, we have been using the principle of human-centred design to build solutions for customers. Human-centred design starts with the people we are designing for and ends with solutions that are tailored to their needs. Building digital products through this process requires a deep empathy for the people we are designing for – forcing us to go deep into their communities, workplaces and even homes to understand what they feel, what they think, what they like and what they desire. Through the power of digital solutions, we can build interfaces for our customers that are relevant to them, and over time will fit seamlessly into their lives. In addition to building products, digital allows us to build communities who interact with us and our products. Facebook use has accelerated in Myanmar at an incredible rate, and in a short period of time Wave Money has developed a community of followers who guide us in our distribution, products and operational processes. Never before has the voice of the customer been so available to companies. In a short period of time we have seen Facebook emerge as the deepest engagement point we have with customers, with an average of 20 interactions per customer contact. This instant and localised interaction allows us to have a one-to-one conversation where we can communicate product benefits and address customer problems in a far more intimate environment than that offered through a call centre. Over time we expect this engagement will create a tribe of educated followers, with enhanced customer loyalty, primarily through the digital channel. But why does the rapid growth of digital in Myanmar make such a difference to mobile money consumers around the world? By 2020 there will be 5.8 billion smartphones globally, growing from 2.6 billion today. Data use is expected to grow at an astounding rate of 45 percent a year between 2015 and 2020. In essence, almost all people globally will have a smartphone by 2020 with the majority using data. 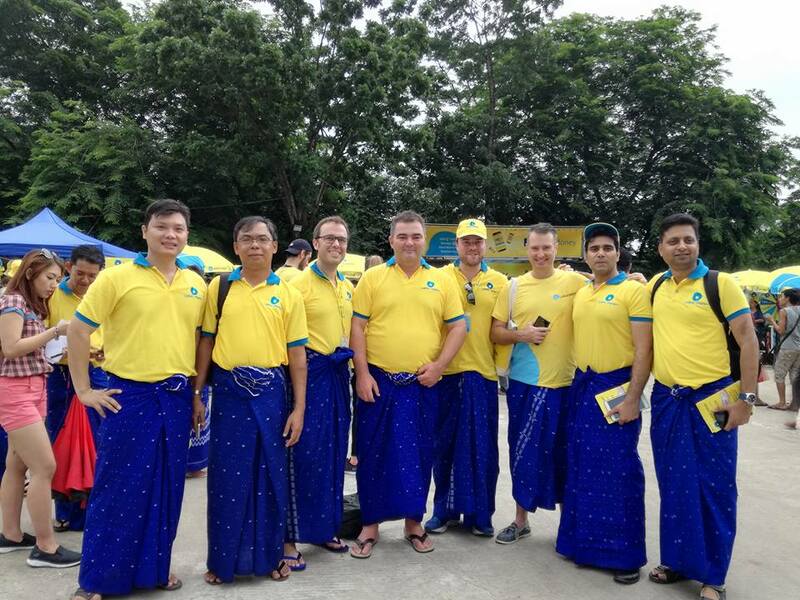 We believe that when it comes to mobile money Myanmar will provide the template for frontier markets globally. Digital mobile money solutions with the customer at the core, and the creation of communities using digital networks, will demonstrate how mobile money can move beyond feature phones to give customers an experience never before seen in these markets. Brad Jones is the Chief Executive Officer of Wave Money, a joint venture of Telenor, First Myanmar Investments and Yoma Bank. He has worked in mobile money for most of the last decade, in markets such as Cambodia, the Philippines, Indonesia and China. Follow him on Twitter at @bradjoz. 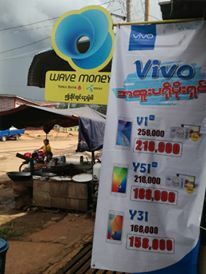 This post was originally published at http://frontiermyanmar.net/en/mobile-money-the-next-wave-of-financial-inclusion.